Gora Park (強羅公園) is one of the most popular spot in Hakone. 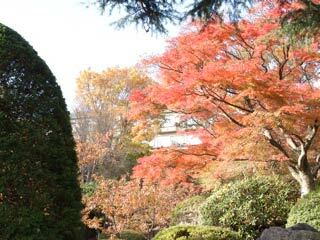 It is a Japanese style garden with lots of flowers. Gora Park offers all kinds of seasonable flowers from February to October, and it finishes with beautiful Autumn leaves. Its rose garden is the most famous feature of this park. There are 140 kinds 1000 roses in Gora Park. There are also, a craft-house, Tea house and other houses. Admission: 500 yen, Kids free. Gora Park was built in 1914 for friendship spot for Japanese nobles. Craft-house for local craft works. Hakuundo Tea House for Tea ceremony. Glass house for tropical flowers.